Perhaps the most startling figure in the KBC Homebuyer survey relates to the 70,000 'ready and able' prospective purchasers seeking a home. If the market was looking for a signal to begin building, that figure alone should suffice. But it's hoped that this cohort of 70,000 is in no rush to buy, because it's going to be a few years yet before supply ramps-up and begins to match demand. We are not building even half the number of homes we need. In April 2014, the Housing Agency said a minimum of 79,660 new homes were needed for the five-year period between 2014 and 2018. Between January 2014 and January this year, just under 40,000 were delivered. Some 37,581 units of total supply over the five years were required across Dublin. The number delivered to date? Just 10,779. It's no wonder prices are rising. The problem is exacerbated by the low number of second-hand homes trading hands. The survey says housing transactions are as much as 50,000 short of the number considered to reflect a 'healthy' market. It points to prices rising until supply begins to match demand. Property websites daft.ie and myhome.ie don't expect relief any time soon, and point to the introduction of the Help-to-Buy scheme in January, coupled with the lack of supply and changes to mortgage lending rules, as among the reasons why the cost of buying a home will continue to increase. 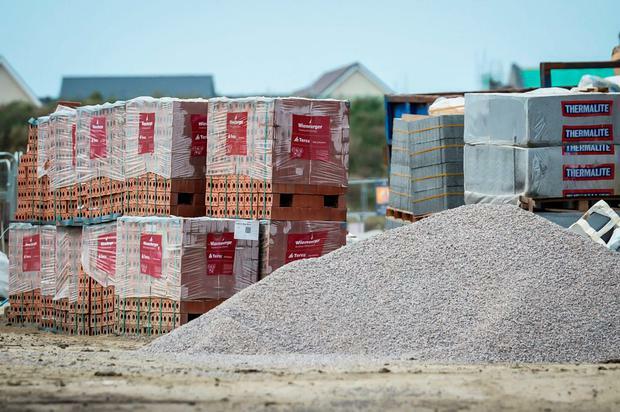 While the Government's 'Rebuilding Ireland' is bearing some fruit - planning permissions are up, as are house completions and new starts - Housing Minister Simon Coveney doesn't expect the magic number of 25,000 new homes coming on to the market to happen until 2019. He believes that 35,000 will be needed to meet the demands of a growing population. Until we get the supply, prices will rise. But this is about more than bricks and mortar. The survey finds under half of those questioned are 'entirely content' with their home. This suggests large numbers are not living in the right type of property. Families with young children probably need more space. For older couples whose children have left home, they may be seeking a smaller property. The lack of building, particularly of apartments and homes in areas where essential services such as schools and transport links are already in place, means this cohort may have to wait some time because upgrading or downsizing is nigh-on impossible unless you have deep pockets. As KBC says: "The resolution of current difficulties may take longer than might be envisaged."